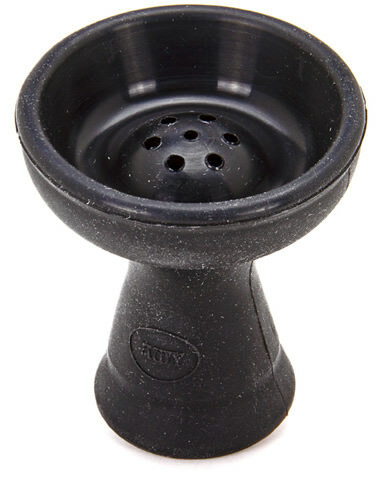 The Vortex Bowl is designed to hold in juices and pull smoke through the spire in the middle that is lined with holes. This ingenious design allows for your shisha to smoke longer and hold its moisture, with very little chance of scorching . It holds around 25 to 30 grams of shisha tobacco. This bowl is also great for tobacco-free Steam Stones, since it helps keep the juices from leaking out. Also available is the glass Pyrex Vortex Bowl. Smoking Tangiers shisha tobacco can be a fairly involved preparatory process, but it's worth it if you love full flavor and huge clouds. Using the right bowl is an essentially step. A Phunnel Bowl is very similar to a Vortex Bowl, but the center spire has one big opening at the top. Tangiers Funnel Bowlsare great for this, and the smaller Alien Phunnel Bowl or Chinese Phunnel Bowl are both great alternatives. A smoking hookah can be a great party centerpiece, but you're going to want a large bowl so you don't have to change it out very often. The Goliath Vortex Bowl is a giant version of the Vortex Bowl, but with a few new tricks up its sleeve. The Goliath features a raised spire in the center with holes around the sides which makes this bowl perfect for smoking wetter shisha brands. In addition to this, the new Goliath Bowl features a pattern of raised "nubs" on the bottom of the bowl to allow for greater airflow beneath and through the shisha to make heat transfer more efficient. 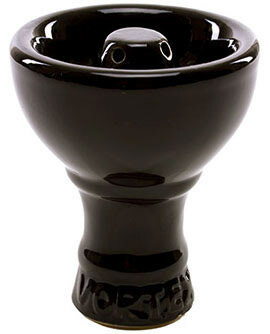 This bowl can accommodate around 50 grams of shisha at a time, and cankeep on puffing for around 4 hours! The Mya Mikro Hookah has a specially designed Mya hookah bowl that rests down inside the stem of the hookah and comes with a built-in coal screen which can be rotated 360 degrees. This hookah bowl pops out for easy cleaning, and will come with a specially designed rubber gasket which seals the bowl and stem. A great item for solo smoking! The hookah flip bowl quite literally flips hookah smoking upside down. Instead of putting the charcoal over the shisha tobacco, the charcoal is held in a tray underneath. 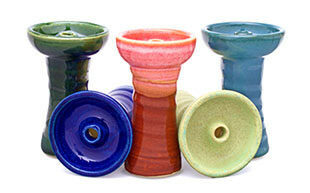 The shisha tobacco is put in a detachable tray and then secured above the coals. 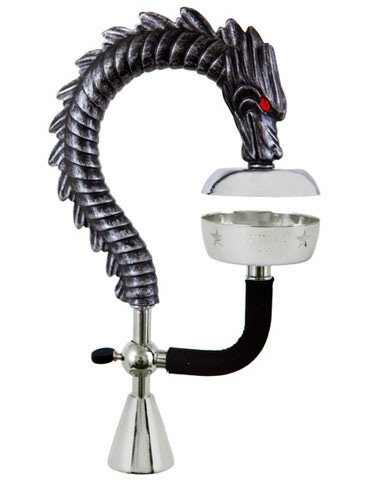 Get it in a standard design, or if you're looking to be awesome, it also comes in the form of a dragon flip bowl and a cobra flip bowl! The Silicone Bowl (originally called Silikon Bowl because Germans be crazy!) is about to blow your mind. Made of food grade silicone (think - the end of spatula), this bowl has a rubbery texture but is used just like a run-of-the-mill bowl. It's available in a Phunnel Style or an Egyptian Style, and is completely safe to smoke from and will sustain no heat damage. May be hard to believe, but once you go Silicone, you don't go back. You know what they say, "An apple a day, keeps the hookah stoking all day!" 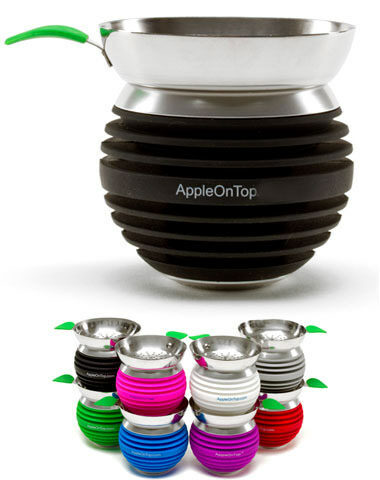 The Apple On Top Bowl is a vortex bowl, foil top, coal carrier, and heat management system - all in one bowl. Its clever design will help you sessions last longer, taste cleaner, and be an overall simpler experience!